Wondering what to do on a Saturday morning? 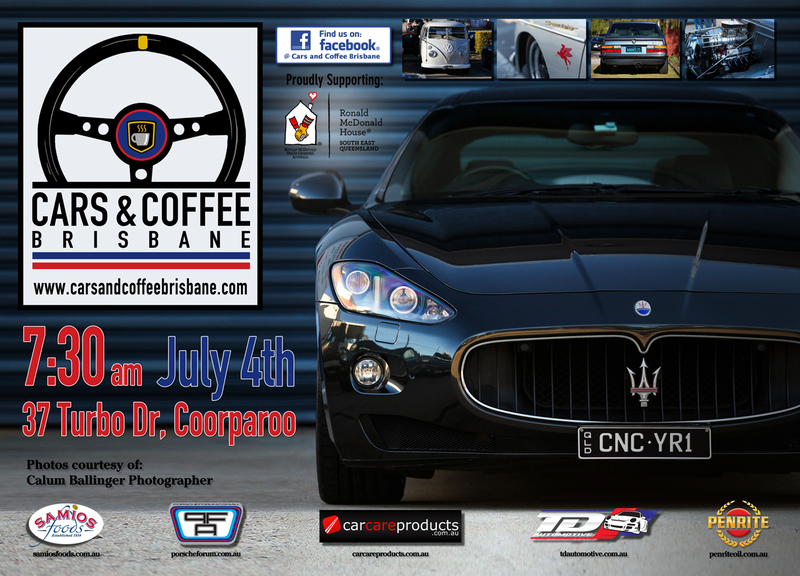 Wanting a ‘fix’ of some great Cars and some delicious food and Coffee along with some like-minded enthusiasts? Then come along on the 4th of July from 7:30am and bring your Classic, European, Historic, Race, or just Interesting vehicle. It’s our first anniversary so let’s make this the biggest one yet! – As per usual we’ll be there rain or shine. So glad I found this website, I’m new to Brisbane and looking forward to see what cars Brisbane brings out.